A question to those who own the MT range of helmets. Does water enter into the helmet during a rain even if the air vents at the front and back are closed? Are the air vents waterproof once closed? 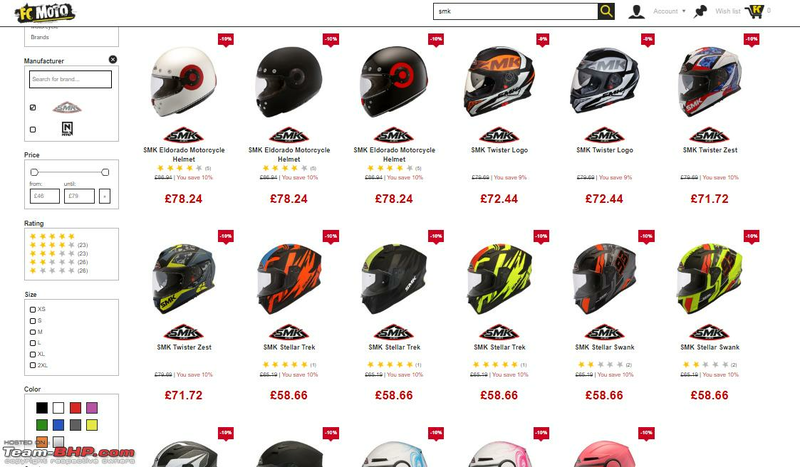 I was browsing through the websites of a couple of European based online riding gear retailers and was very pleasantly surprised to see that SMK helmets, which is a new brand of Studds helmets, is available for sale there. This might be a first in the helmet industry and is certainly a proud moment for Indian manufacturing. 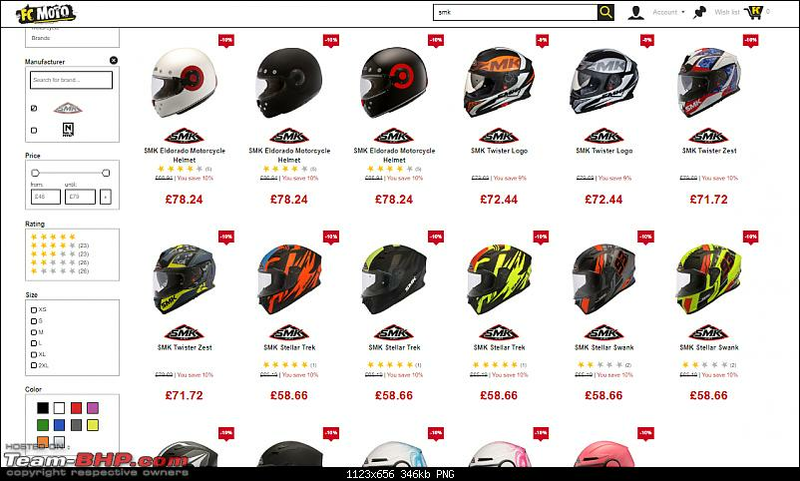 I was browsing through the websites of a couple of European based online riding gear retailers and was very pleasantly surprised to see that SMK helmets, which is a new brand of Studds helmets, is available for sale there. In my opinion, SMK brand was created by Studds to enter into European market. 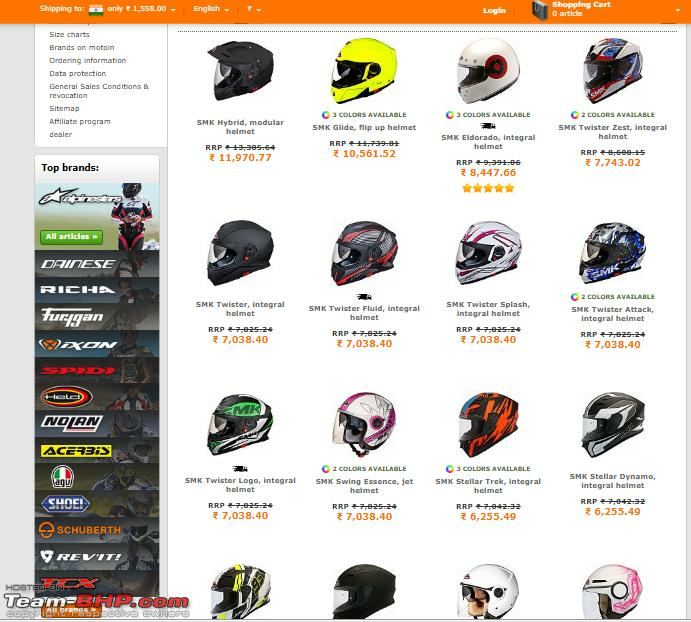 SMK helmets are conceptualized and designed in Europe, before being produced by Studds, a company based in Faridabad, India that produces almost five million helmets annually (Fiscal 2018), destined for markets across the world. It's more than 2 years for SMK brand, here is my initial review from March 2017 (Which Helmet? Tips on buying a good helmet). This might be a first in the helmet industry and is certainly a proud moment for Indian manufacturing. Yes, it's indeed a proud moment for an Indian helmet manufacturer. Incidentally, after going through SMK's website, I was reading your initial review of your SMK helmet before I posted on this thread! Keeping the marketing spin aside, what I understood is that SMK is a new brand created by Studds which would pass ECE certification. They might have hired European designers as interns to help spin the inter-continental connection I always felt that the SMK initiative was more for Studds to open up the segments in India above what it traditionally operated in. What I would call the erstwhile LS2 segment - the Rs 2,000 to ~ 5,000 price range. Vega, Steelbird and Studds are all making power plays in this emerging segment. Using one for 3yrs . Have used it in heavy rains. Never had such issue. All times are GMT +5.5. The time now is 14:12.